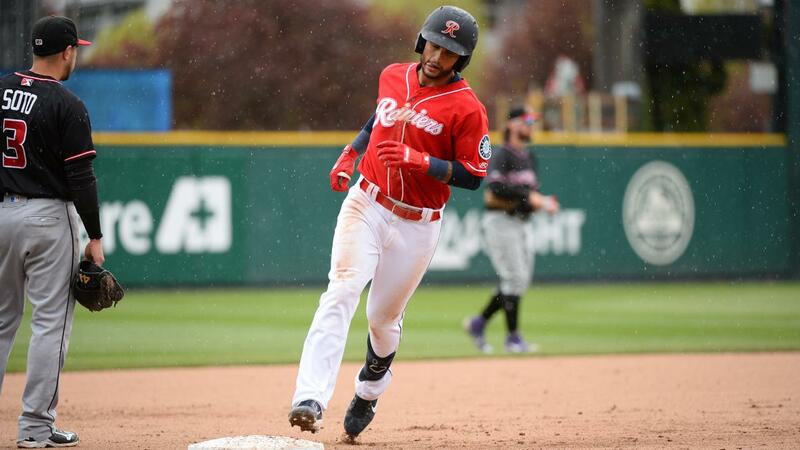 Tacoma, Wash. - The Tacoma Rainiers composed an 8-0 advantage over Albuquerque with the help of second baseman Tim Lopes' two-run home run, but the Isotopes rallied for the next 17 runs in a 17-9 final on Sunday afternoon at Cheney Stadium. Tacoma (4-7) scored a pair in the bottom of the second inning when Albuquerque (7-4) catcher Drew Butera dropped a throw home from pitcher Chi Chi Gonzalez, allowing Joey Curletta to score on Lopes' grounder. One batter later, left fielder Kristopher Negron hit a sacrifice fly to bring home third baseman Shed Long. The Rainiers added a fourth inning run on center fielder Tito Polo's RBI knock, plating Lopes, before erupting for five tallies in the fifth. Long singled home shortstop J.P. Crawford, followed by catcher Austin Nola's two-run double on a 3-2 pitch that pushed across Long and Curletta. Nola's fifth double moved his team-leading RBI total to 11. Nola threw out a potential base-stealer in the contest and reached safely in all five plate appearances, going 2-for-2 with three walks. With Nola still at second in the fifth, Lopes throttled his first home run of the season to left field, giving the Rainiers their biggest lead of the game, 8-0. Over the final three innings, the Isotopes scored 17 runs to Tacoma's one, including a 10-run ninth that resulted in Negron replacing Tayler Scott (1-1) on the mound and recording the final out. Right-hander Ryan Garton made his first start of the season for the Rainiers, going four scoreless innings with one hit, one walk and three strikeouts. Righty Robinson Leyer pitched the next two frames with no damage, punching out four and lowering his ERA to 2.45. Tacoma's seven-game homestand concludes Monday at 11:35 a.m. The Rainiers will then travel to El Paso and Albuquerque to play their second series of the month against both the Chihuahuas and Isotopes. All tickets, group outings, and suites packages for the 2019 season are available for purchase in person at the Cheney Stadium Box Office, online at TacomaRainiers.com and WeRTacoma.com, or over the phone at (253) 752-7707. The most up-to-date news and notes about the Rainiers throughout the season can be found by following the Rainiers on Twitter (@RainiersLand), Instagram (tacomarainiers) or liking the team on Facebook.